Bhadson is a village in Patiala district in the Indian state of Punjab. This village is situated on Amloh-Nabha road. Bhadson is at a distance of 12 km from Amloh, 20 km from Sirhind GT Road, 17 km from Nabha and 28 km from Patiala. According to myths prevalent among the people of this area, the town was founded by Raja Bhadra Sain. He had a daughter named Kokila – who was very fond of chess. She declared of marry a person who would defeat her in the game of Chess. Raja Rasalu gave her defeat in the game of Chess and married her. In due course, Kokila got entangled in love with Raja Hodi. Rasalu came to know about the love affair between Kokila and Raja Hodi through his pet birds (Tota and Maina) Consequently, Raja Rasalu imposed strict restrictions on Kokila to remain within the palace. Thereafter, Raja Hodi got a tunnel constructed to meet her beloved. One day when Raja Hodi came to meet Kokila, Raja Rasalu became aware of it and he murdered both of them. Bhadson was conquered by Raja Hamir Singh of Nabha State in 1759. His successor, Raja Jaswant Singh built the fort of Bhadson on the mound of ruins of the old fort. The fort is now occupied by the police Station, Bhadson. Bhadson is a developing town. It has made tremendous progress in the field of industry and technology. 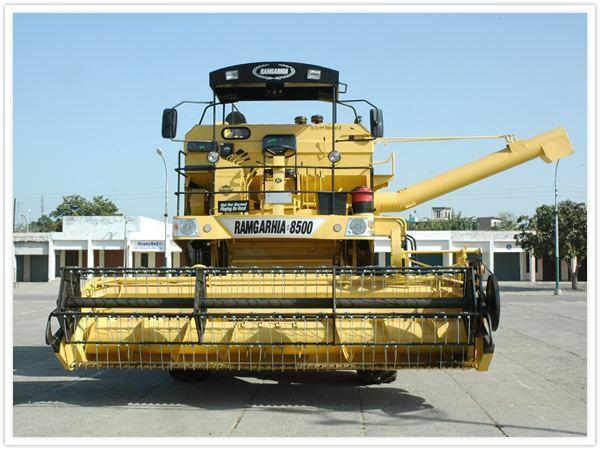 It is well-known all over India for manufacturing of harvester combines. The first two harvester combine industries in India are manufactured by SANT combines and KARTAR combine, Bhadson. Now there are many firms which are manufacturing harvester combines and other agricultural implements. Bhadson has become very famous for the manufacture of wheat threshers, agricultural and farm machinery, such as tractor driven combines, self-propelled combines with self-developed indigenous technology.